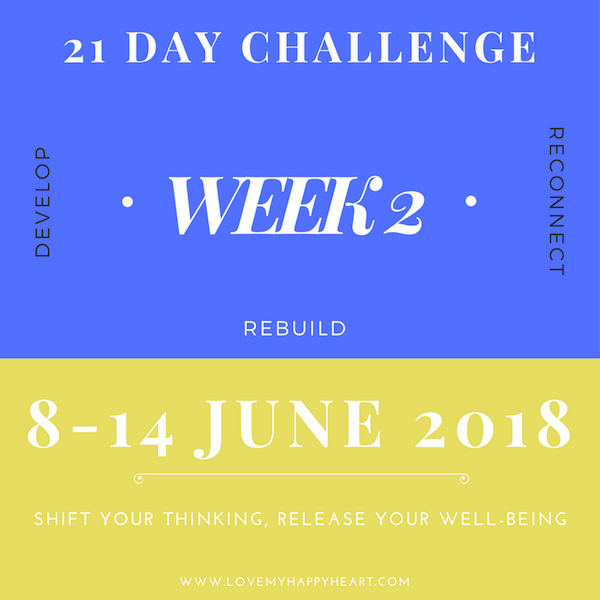 Congratulations, we’ve made it through to week 2 and our second phase of our 21 Day Challenge. How are things going? What differences are you noticing? During week two, we change our attention to affirming, developing and reconnecting with our authentic self. This requires slightly less exploratory enquiry and more a developing of some affirmations that are relevant to your personal demons. Last week, you wrote down answers to some really important questions around your demons. We will be referring back to those this week, so make sure you have them to hand. Although before we move on, let’s remind ourselves about the important themes that will support us as we navigate through the next 7 days. 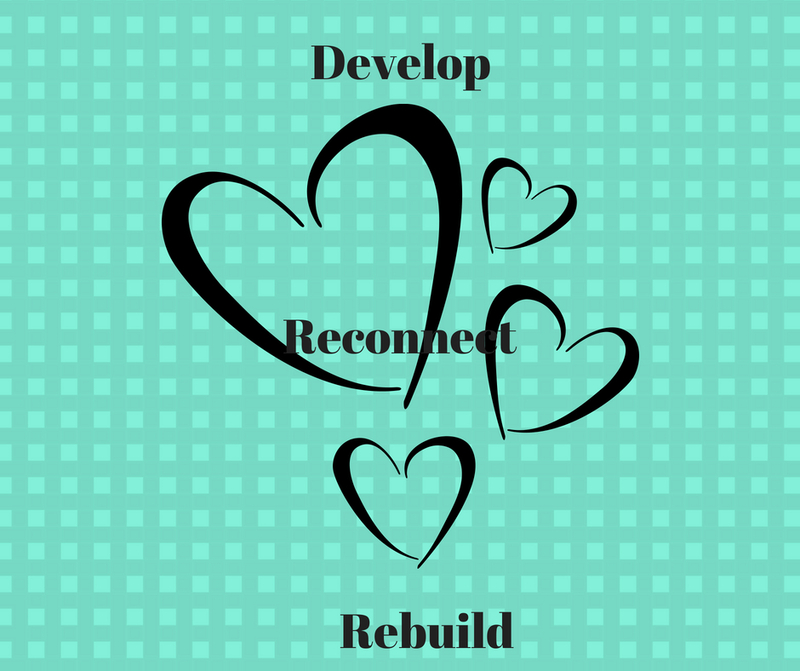 This week, in the spirit of building and affirming, we will be reconnecting to the Daily Exercises I set you last week. I’ll remind you what they are in a moment. Although part of the science of repetition is that we stay consistent with the same message. If we truly want to rewire our brains neural pathways then the repetition must be with the same message so that we deep the pathways. Although before we proceed, there is something important that we need to connect to. Our brains are divided into two hemispheres; left and right. The left hand side is home to logic, structure, language and order, whilst our right side is responsible for our imagination and creativity. When we engage the right side with visualisation techniques, we fire up synapses that create a movie inside our head and strangely the body can’t differentiate between the imagined and the real. The body responds; muscles act as if they were doing the very action that you had pictured in your mind. This is why so many athletes are trained in the art of imagining themselves wining a race or jumping high or far. The bottom line is that ‘the body is stimulated by the brain’, says David Hamilton. So with this in mind, I would like you to sit quietly over a cup of something soothing or over a glass of something pleasurable and do a bit of movie creation. Think in your mind’s eye about life beyond this 21 Day Challenge and with all the conditions of happiness that you desire in place. Make sure you create the vision having achieved success with this rewiring exercise. Give the image as much colour, context, sound and texture as you can. The more vibrant your image is the more powerful it becomes and the more the body orientates around it. Keep that visualisation in mind for the whole week and build this into your daily routine. 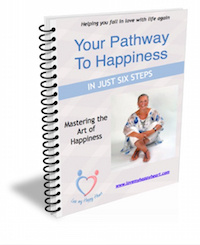 Replay it daily and see your happy success playing out in front of you. So I would like you to now return to the exercise we did in week 1, where I asked you to consider your demons. You listed your three biggest demons related to the mind shift you wanted to work with during this period. And hopefully you surrounded these demons in a heart of love. These are the statements that I would now like you to totally rewire into personal affirmations that we will then repeat through the rest of the coming 14 days. Make them positive. There must not be any never, ever, can’t or nots in there. Focus on what you want to have rather than what you would like to avoid. So I am not fat; I chose not to feel ill is not effective. These three affirmations will form the basis of your practice this week so keep them to hand somewhere. Remember it’s all about repetition. The more we learn, the more the pathway strengthens. Look at learning to drive a car. The more we repeated the moves the more confidence we developed. It’s the same with affirmations. Repeat each morning when you rise, at lunchtime, over coffee and when you go to bed – at the very least. The more you repeat them, the strong the connections become in your mind. I can choose my thoughts and feelings each and every day. Repeat your affirmations created from the exercise earlier. Just three – we don’t need any more as you don’t want to feel overloaded and thereby give up. We want to give you every chance of happy success with this process. When we apply mindfulness, it takes us into a very present moment. It blocks out all the past and future concepts we create in our minds and puts us in the here and now. This is when our OBSERVER can really master their presence. Notice your thoughts, good and not so good. Look at what situations trigger your positivity and negativity. Avoid judging them, just observe them and journal about them. This is such a good exercise to connect with. Write your daily journal with insights that have come up through the day. And most importantly give yourself a pat on the back for every day you stay committed to this process. You are changing your life, one day at a time. Be proud. On the last day of this week, please do all the other exercises and also do a final review of how the week has gone. Notice how you feel, how the statements have felt during the course of the week and any changes, however small they might be. Congratulations on completing Week 2 of our 21 Day Challenge. It’s not too late to come over and join us at Wake up to Happiness if you wish and share your experiences and get that all important support. And when you’re ready, click this link for the details for Week 3 of our reclamation of happiness exercise.